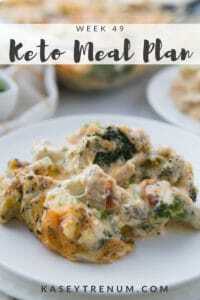 I believe one of my all-time favorite things about the keto lifestyle has to be this recipe! 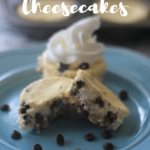 My Keto Chocolate Chip Mini Cheesecake Recipe is so delicious. It definitely feels decadent but fits easily into my macros. You are going to love this one! I’ve been making Keto Cheesecake Muffins since we first started following a ketogenic diet last year. They are so easy to make and always turn out delicious. Because I love to experiment with recipes, I thought I’d try changing it up a bit and make Keto Chocolate Chip Cheesecake Muffins. First, I added chopped pecans as a crust before I added the cheesecake filling to the cupcake liners. Then, to add a little extra sweetness to the savory pecans, I added Lily’s Chocolate Chips to the batter. There was just something about adding that salty and sweet combination to an already delicious sweet treat that took it over the edge. I always like to keep things simple, so instead of adding a bunch of ingredients to the crust I just scooped in a tablespoon of chopped pecans and once the batter cooked it tasted like a crust. One thing I try to be intentional about in my recipes is that they are easy without a lot of complicated steps or ingredients. I’ve included a couple of process photos below of the Keto Chocolate Chip Cheesecake Muffins if you are a visual person. Lily’s sugarfree chocolate chips are amazing! 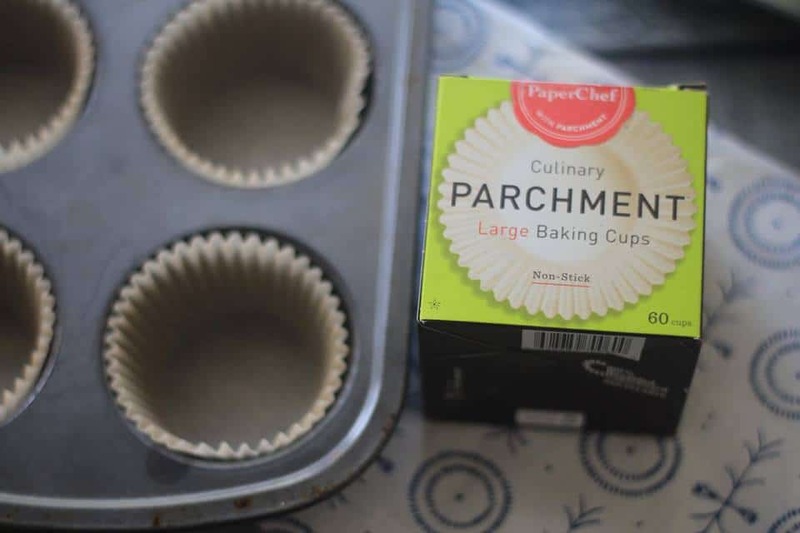 Parchment muffin liners are my new favorite find! Nothing sticks to them, which means easy cleanup and you don’t lose half of your muffin in the liner. Line 12 muffin tins. The pecans cook into the batter forming the easiest most delicious crunchy crust. Yummm! These are so amazing. 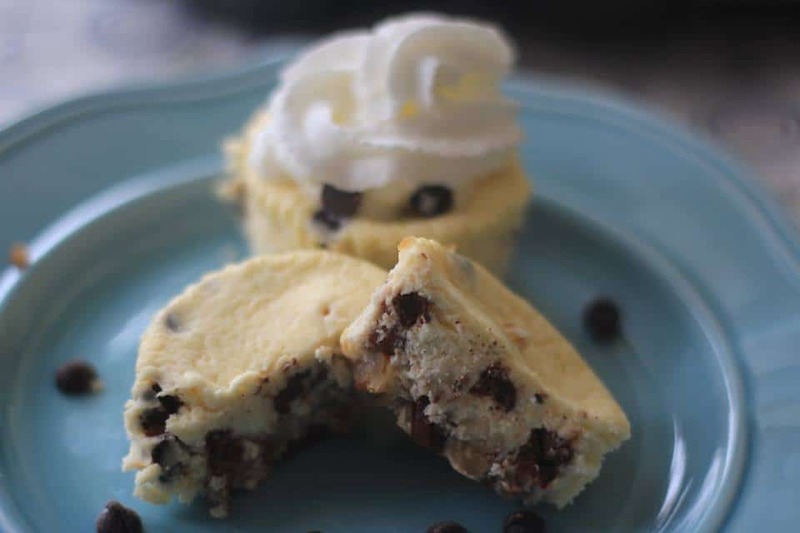 The salty pecans with the cheesecake and chocolate chips combined are simply delicious. 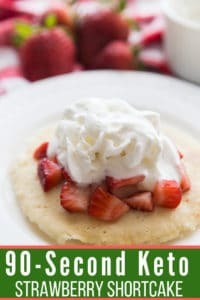 There are a couple of specialty ingredients used in this recipe that you might not be able to find at your local grocery store. 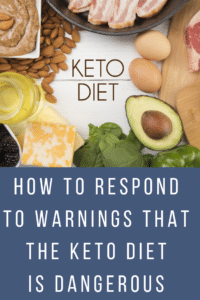 I purchase a lot of the Keto specialty items on Amazon. 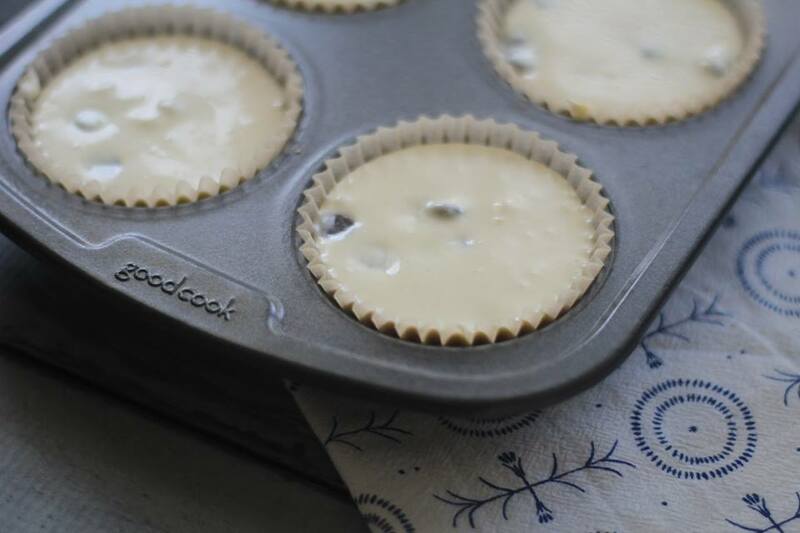 Line 12 muffin tins with parchment muffin liners. 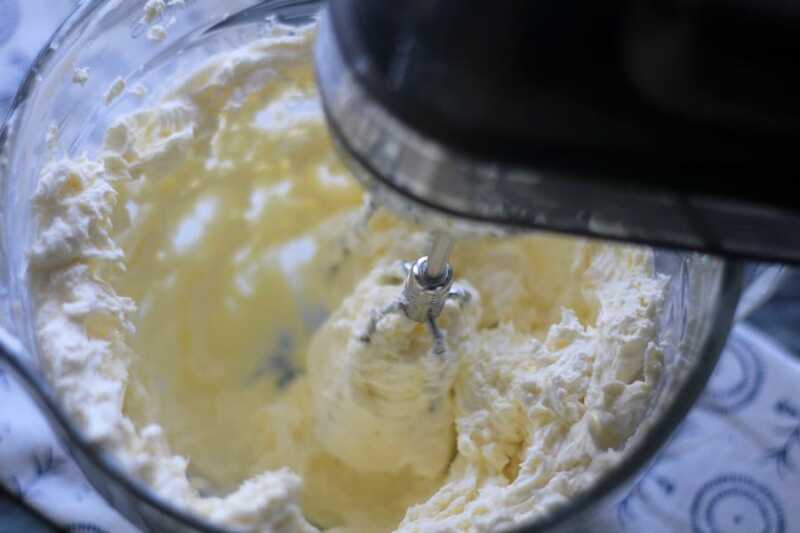 Soften cream cheese then use a mixer to beat on medium speed until the cream cheese is smooth and creamy. 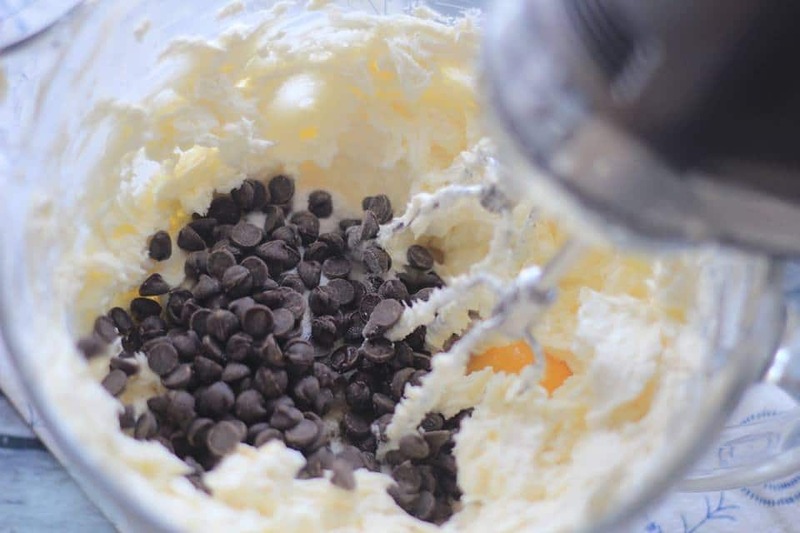 Add eggs, Swerve, Lily's chocolate chips, and vanilla then beat again on medium speed until thoroughly combined. 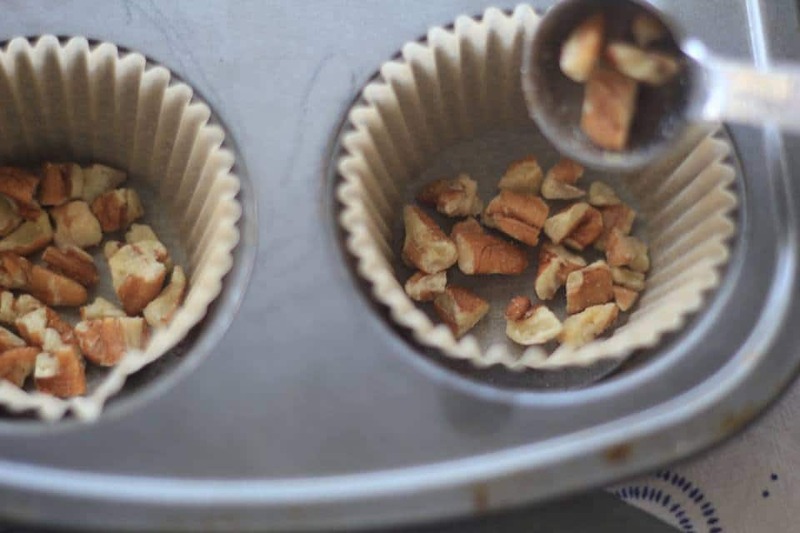 Add 1 1/2 tablespoons of chopped pecans to the bottom of each muffin tin. 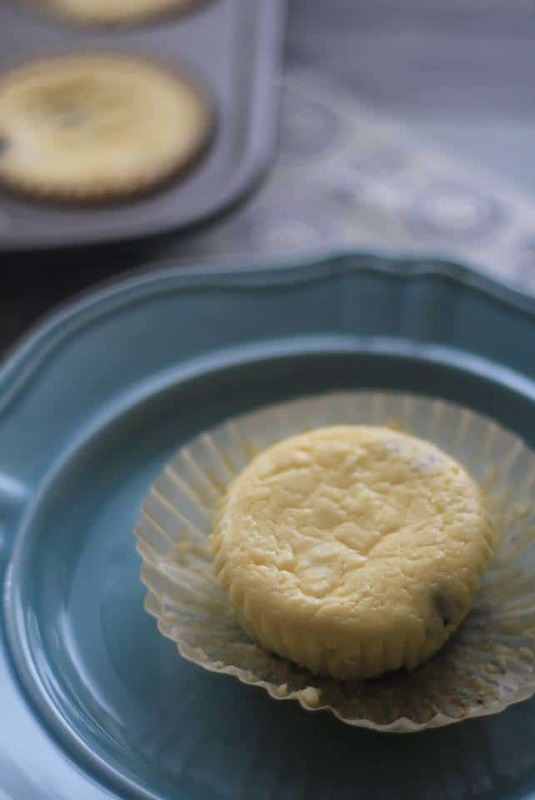 Fill muffin tins with cheesecake batter approx 2/3 full. Best served cold with a dollop of whipped cream on top. The sugar alcohols from Swerve are not calculated in the nutritional information. 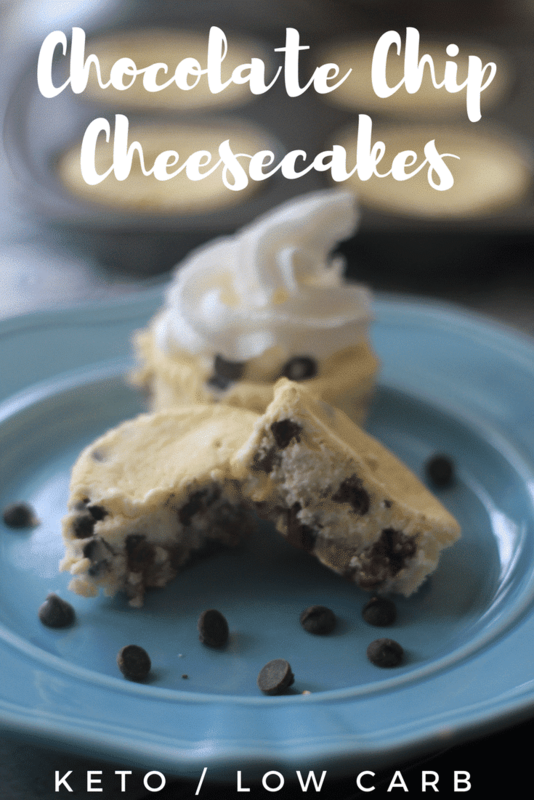 If you love this easy Keto Chocolate Chip Mini Cheesecake Recipe, then I know you will love all of our cheesecake ideas. 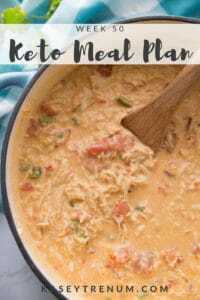 You can check out our full recipe list in my Keto Recipe Index. These are the best and it dissolved great. You could always put the granulated sweetener in a coffee grinder or mortar and pestle and grind to a fine powder. Can you use Stevia instead of Swerve? Swerve leaves a weird cooling sensation in my mouth and throat.. I haven’t personally tried it because I think Stevia is bitter in baking, but if Swerve doesn’t work for you it might be an option. These were SO good!!! I only cooked for 16 minutes as I was worried my oven was too hot. They came out slightly underdone (yet still delicious!). Next time I will do 18 minutes. Thanks for the recipe! I think these will be great for a Thanksgiving treat! I have made these three times since finding this recipe a couple of weeks ago. My husband LOVES them. Do you have to add the sweeteners. Not if you don’t want to, but I can’t guarantee how they would turn out or taste. What are your thoughts on Truvia sweetener? 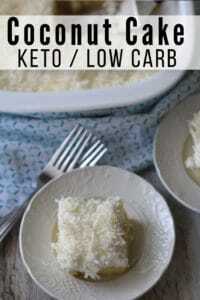 I have been using it for low-carb baking and it is wonderful!! Some Truvia has regular sugar added too. I would need to look at the ingredients. I haven’t used it personally. Can I make these without the pecans? Sure. I love pecans for the taste and texture but leaving them out should be fine. Glad they tasted great. Hope they turned out right the next time! How long do you let them cool before you put them in the fridge? Let them get as close to room temperature as possible. Just skip it. When I make these for my daughter, who is allergic to nuts, I just omit them. Can you freeze these? Or how long will they last in the fridge? I haven’t frozen them personally but have read where others have. When they did they wrapped them up individually and then placed in a freezer safe container so they could grab 1 out at a time to defrost. Otherwise, I would say they will last 5-7 days in the fridge. How do you know if they are done? I cooked mine 20 min and I’m still not sure if they are done. I just took them out of the oven as I don’t won’t to overcook them. I just take mine out of the oven between 18-20 minutes as I have found that is the sweet spot with my oven. YOu don’t want to overbake.